But deliver us from the evil one. This is the prayer of all who desperately desire to be kept from sin by the power of God. It is the heart’s cry for daily salvation from the power of sin and Satan in one’s life. And lead us not into temptation but deliver us from the evil one. Probable meaning: “If it be thy will do not permit us, weak as we are by nature and prone to sin, to enter into situations which in the natural course of events would expose us to temptation and fall (cf. 26:41), but, whatever be thy way with us, deliver us from the evil one.” Though it is true that here as before (5:37) both the neuter “from evil” and the masculine “from the evil one” are possible, and, as Calvin points out, “There is no necessity of raising a debate on this point, for the meaning remains nearly the same,” nevertheless, both because in the consciousness of Christ the devil was very real (see proof on p. 309), and because one naturally associates temptation, mentioned in this petition, with the tempter (see especially 4:1), I, along with many others, give the preference to the rendering “the evil one.” Though it is true that God himself never tempts man to sin (James 1:13), it is also true that there is good reason to ask him not even to permit us voluntarily to run into temptation; for example, by establishing a dangerously close alliance with the world, becoming “unequally yoked” with unbelievers (2 Cor. 6:14–16); or by going into the opposite extreme and withdrawing ourselves entirely from society (contrary to Matt. 5:14; Phil. 2:15); by becoming so absorbed in our daily affairs that the spiritual atmosphere which should characterize our home is neglected, by serving on so many good-cause committees that matters even more important are not attended to; etc. It is God alone who knows how many tests of faith, and how severe, each saved sinner can endure, as he is constantly being assaulted by the devil (Eph. 6:12; 1 Peter 5:8), the world (John 15:19), and his own “flesh” (that is, whatever in himself is not a fruit of redeeming grace, Rom. 7:23; Gal. 5:17). Instead of going down to defeat in this struggle, may he remain watchful at all times, and in any event, may he triumph completely over the evil one (Rom. 16:20; 1 Thess. 5:23).—For more with respect to Satan and his crafty methods see N.T.C. on Ephesians 2:2 and 6:11, 12. The logic of the petition is clear. An analogous request would be, “Lord, grant that I may be so careful in observing the rules of health that I may not become ill, but whatever in thy providence befalls me, keep me close to thy side that my faith may not fail.” Here, too, however, “we,” “our,” and “us” should be substituted for “I,” “my,” and “me.” The supplicant is constantly including others in his prayers. Peirasmos (temptation) is basically a neutral word in the Greek, having no necessary connotation either of good or evil, as does our English temptation, which refers to inducement to evil. The root meaning has to do with a testing or proving, and from that meaning are derived the related meanings of trial and temptation. Here it seems to parallel the term evil, indicating that it has in view enticement to sin. God’s holiness and goodness will not allow His leading anyone, certainly not one of His children, into a place or experience in which they would purposely be induced to commit sin. “Let no one say when he is tempted,” says James, “ ‘I am being tempted by God’; for God cannot be tempted by evil, and He Himself does not tempt anyone” (James 1:13). Yet James had just said, “Consider it all joy, my brethren, when you encounter various trials (peirasmos), knowing that the testing of your faith produces endurance” (vv. 2–3). There is an interpretive problem, therefore, as to whether peirasmos in Matthew 6:13 is translated temptation or trial. As James tells us, God does not tempt. So why ask Him not to do what He would never do anyway? Yet James also tells us we should rejoice when trials come and not seek to avoid them. So why should we pray, do not lead us into temptation? I affirm with Chrysostom, the early church Father, that the solution to this issue is that Jesus is here not speaking of logic or theology but of a heart desire and inclination that cause a believer to want to avoid the danger and trouble sin creates. It is the expression of the redeemed soul that so despises and fears sin that it wants to escape all prospects of falling into it, choosing to avoid rather than having to defeat temptation. Here is another paradox of Scripture. We know that trials are a means for our growing spiritually, morally, and emotionally. Yet we have no desire to be in a place where even the possibility of sin is increased. Even Jesus, when He prayed in the Garden of Gethsemane, first asked, “My Father, if it is possible, let this cup pass from Me,” before He said, “yet not as I will, but as Thou wilt” (Matt. 26:39). He was horrified at the prospect of taking sin upon Himself, yet He was willing to endure it in order to fulfill the will of His Father to make possible the redemption of man. Our proper reaction to times of temptation is similar to Christ’s, but for us it is primarily a matter of self-distrust. When we honestly look at the power of sin and at our own weakness and sinful propensities, we shudder at the danger of temptation or even trial. This petition is another plea for God to provide what we in ourselves do not have. It is an appeal to God to place a watch over our eyes, our ears, our mouth, our feet, and our hands-that in whatever we see, hear, or say, and in any place we go and in anything we do, He will protect us from sin. Like Joseph we know that what men and Satan mean for evil God will turn to the good of His children (see Gen. 50:20); but we are not certain that, like Joseph, we will be completely submissive to and dependent on God in our trials. The implication of this part of the prayer seems to be: “Lord, don’t ever lead us into a trial that will present such a temptation that we will not be able to resist it.” It is laying claim to the promise that “God is faithful, who will not allow you to be tempted beyond what you are able, but with the temptation will provide the way of escape also, that you may be able to endure it” (1 Cor. 10:13). This petition is a safeguard against presumption and a false sense of security and self-sufficiency. We know that we will never have arrived spiritually, and that we will never be free of the danger of sin, until we are with the Lord. With Martin Luther we say, “We cannot help being exposed to the assaults, but we pray that we may not fall and perish under them.” As our dear Lord prayed for us in His great intercessory prayer, we want, at all costs, to be kept from the evil one (John 17:15). When we sincerely pray, do not lead us into temptation, but deliver us from evil, we also declare that we submit to His Word, which is our protection from sin. “submit therefore to God,”James says. “Resist the devil and he will flee from you” (James 4:7). Submitting to God is submitting to His Word. “Thy word I have treasured in my heart, that I may not sin against Thee” (Ps. 119:11). So the believer prays to be kept from overwhelming solicitation to sin, and if he falls into it, to be rescued from it. Deliver is actually in the form of a command. In a cursed world where we are battered by evil all around us, we confess our inadequacy to deal with evil. We confess the weakness of our flesh and the absolute impotency of human resources to combat sin and rescue us from its clutches. Above all we confess our need for the protection and deliverance of our loving heavenly Father. 13 The word peirasmos (“temptation,” GK 4280) and its cognate verb rarely if ever before the NT mean “temptation” in the sense of “enticement to sin” (whether from inward lust or outward circumstances) but rather “testing” (see comments at 4:1–12). But testing can have various purposes (e.g., refinement, ascertaining the strength of character, enticement to sin) and diverse results (greater purity, self-confidence, growth in faith, sin); as a result, the word can slide over into the entirely negative sense of “temptation.” See comments on the cognate verb in 4:1. The word sustains the unambiguous meaning in James 1:13–14, which assures us that “God cannot be tempted by evil, nor does he tempt anyone [i.e., with evil]” (cf. Mt 4:1, 3; 1 Co 7:5; 1 Th 3:5; Rev 2:10). In this light, peirasmos cannot easily mean “temptation” here in v. 13, for that would be to pray that God would not do what in fact he cannot do, akin to praying that God would not sin. But if peirasmos here means testing, we face another problem. The NT everywhere insists that believers will face testings or trials of many kinds but that these should be faced with joy (Jas 1:2; cf. 1 Co 10:13). If this is so, to pray for grace and endurance in trial is understandable; but to pray not to be brought to testings is strange. For detailed probing of the problem and interaction with the sources, see C. F. D. Moule, “An Unsolved Problem in the Temptation-Clause in the Lord’s Prayer,” RTR 33 (1974): 65–75. 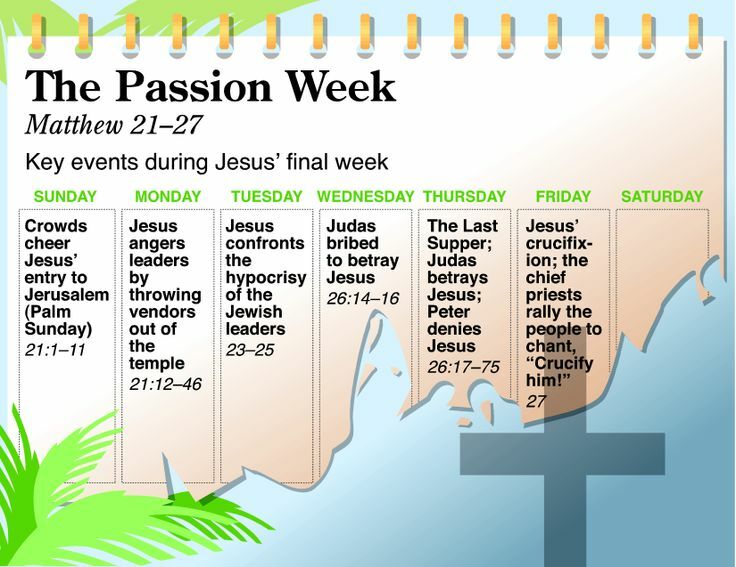 Some have argued that the testing is the eschatological tribulation, the period of messianic woes (e.g., Jeremias, Prayers of Jesus, 104–7) characterized by apostasy. The petition becomes a plea to be secured from that final apostasy and is reflected in the NEB’s “do not bring us to the test.” But not only is peirasmos never used for this tribulation unless carefully qualified (and therefore Rev 3:10 is no exception, regardless of its interpretation), but one would at least expect to find the article in the Matthean clause. Carmignac (Recherches sur le “Notre Père,” 396, 445) so reconstructs the alleged Hebrew original that he distinguishes “to testing” from “into testing,” interpreting the latter to mean actually succumbing. The prayer then asks to be spared, not from testing, but from failing. Unfortunately, his linguistic arguments are not convincing. Many cite b. Ber. 60b as a parallel: “Bring me not into sin, or into iniquity, or into temptation, or into contempt.” It is possible that the causative form of the Lord’s Prayer is, similarly, not meant to be unmediated but has a permissive nuance: “Let us not be brought into temptation [i.e., by the devil].” This interpretation is greatly strengthened if the word “temptation” can be taken to mean “trial or temptation that results in fall”; this appears to be required in two NT passages (Mk 14:38; Gal 6:1; cf. J. V. Dahms, “Lead Us Not into Temptation,” JETS 17 : 229). It also may be that we are forcing this sixth petition into too rigid a mold. The NT tells us that this age will be characterized by wars and rumors of wars (see comments at 24:6) but does not find it incongruous to urge us to pray for those in authority so “that we may live peaceful and quiet lives” (1 Ti 2:2). While Jesus told his disciples to rejoice when persecuted (Mt 5:10–12), he nevertheless exhorted them to flee from it (10:23) and even to pray that their flight should not be too severe (24:20). Similarly, a prayer requesting to be spared testings may not be incongruous when placed beside exhortations to consider such testings, when they come, as pure joy. “Deliver us” (rhyomai, GK 4861) could mean either, on the one hand, “spare us from,” “preserve us against,” or, on the other hand, “deliver us out of,” “save us from” (BDAG, 907–8). Both are spiritually relevant, and which way the verb is taken depends largely on how the preceding clause is understood. The words tou ponērou (“the evil one,” GK 4505) could be either neuter (“evil”; cf. Lk 6:45; Ro 12:9; 1 Th 5:22) or masculine (“the evil one,” referring to Satan; Mt 13:19, 38; Eph 6:16; 1 Jn 2:13–14; 3:12; 5:19). In some cases, the Greek does not distinguish the gender (see comments at 5:37). However, a reference to Satan is far more likely here for two reasons: (1) “deliver us” can take either the preposition ek (“from”) or apo (“from”), the former always introducing things from which to be delivered, the latter being used predominantly of persons (cf. J. B. Bauer, “Liberanos a malo,” Verbum Domini 34 : 12–15; Zerwick, Biblical Greek, para. 89); and (2) Matthew’s first mention of temptation (4:1–11) is unambiguously connected with the devil. Thus the Lord’s model prayer ends with a petition that, while implicitly recognizing our own helplessness before the devil, whom Jesus alone could vanquish (4:1–11), delights to trust the heavenly Father for deliverance from the devil’s strength and wiles. The doxology—“for yours is the kingdom and the power and the glory forever. Amen”—is found in various forms in many MSS. The diversity of what parts are attested is itself suspicious (for full discussion, see Metzger, Textual Commentary, 16–17; cf. Hendriksen, 337–38). The MS evidence is overwhelmingly in favor of omission—a point conceded by Davies (Setting, 451–53), whose liturgical arguments for inclusion are not convincing. The doxology itself is theologically profound and contextually suitable and was no doubt judged especially suitable by those who saw in the last three petitions a veiled allusion to the Trinity: the Father’s creation and providence provides our bread, the Son’s atonement secures our forgiveness, and the Spirit’s indwelling power assures our safety and triumph. But “surely it is more important to know what the Bible really contains and really means than to cling to something not really in the Bible, merely because it gratifies our taste, or even because it has for us some precious associations” (Broadus). MacArthur, J. (2008). Daily readings from the life of Christ (p. 160). Chicago: Moody Publishers. MacDonald, W. (1995). Believer’s Bible Commentary: Old and New Testaments. (A. Farstad, Ed.) (p. 1225). Nashville: Thomas Nelson. Hendriksen, W., & Kistemaker, S. J. (1953–2001). Exposition of the Gospel According to Matthew (Vol. 9, pp. 336–337). Grand Rapids: Baker Book House. MacArthur, J. F., Jr. (1985). Matthew (pp. 395–396). Chicago: Moody Press. Carson, D. A. (2010). Matthew. In T. Longman III & D. E. Garland (Eds. ), The Expositor’s Bible Commentary: Matthew–Mark (Revised Edition) (Vol. 9, pp. 207–208). Grand Rapids, MI: Zondervan.